Lottoland is a worldwide phenomenon. Since 2013, thousands of people have won some top prizes. Let’s look at their stories and see how Lottoland could also work for you. Which Lucky Winners Claimed the Largest Prizes? 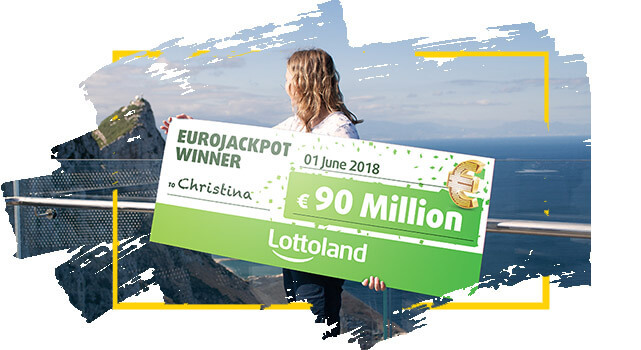 Christina won €90 Million (or $143.75m AUD) on the EuroJackpot through Lottoland. Her career as an office cleaner was over and she travelled the world with her winnings. The most incredible thing about her story is that Christina’s big win came with only her second bet. Read the full story in our magazine article "Cleaner sweeps up Record Jackpot"
Matthias won €22.3m ($35.6m AUD) on the German Lotto. He was our biggest winner from April 2016 before Christina came along and smashed his record out of the water in June 2018. He bought a Ferrari amongst other things. Michael won €14m ($22.38m AUD) just a few months before Matthias’ big win. He travelled to Gibraltar to collect his cheque but wanted to keep his anonymity as a private person. We understand he carried on working. These are just a small number of the incredible Lottoland winners from around the world. Sign up today and you could become another one. While many people keep their anonymity after a win, there are plenty of winners who want to share their happiness with the world. Everyone dreams of winning the lottery, even celebs who don’t need the money are drawn to the power of a big prize. Fast cars and round-the-world trips are common, but some people are concerned to put the money to good use. The infographic has some interesting stats showing that Lottoland winners are largely a generous bunch. There are also even some famous names in there. When Madonna won €120,000 ($191,800 AUD) on the lottery, she used the money to build a school in Malawi. Lottery winners don’t just exist in the real world either. Perhaps the most famous fictional lottery winner is Lost’s “Hurley” played by Jorge Garcia. Poor Hurley didn’t have much luck although Nicolas Cage in It Could Happen To You certainly did. Big lottery winnings can take people on trips where they meet the love of their life where they might never have had that chance before. Tales of love and romance founded on the back of a lottery ticket are everywhere. How Do I Use System Bets?